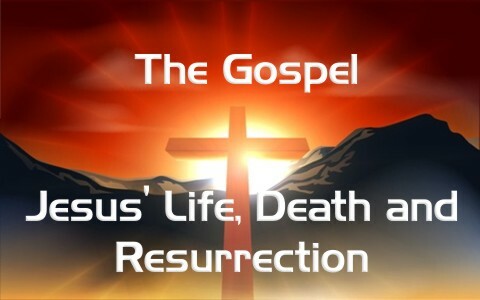 Does the gospel depend on Jesus’ sinless life, His atoning death, the resurrection, or all three? When the old sacrificial system contained in the Mosaic Law was still in effect, they had to repeat the sacrifices over and over again because ancient Israel, like all of us, sin over and over again, and so, “The former priests were many in number, because they were prevented by death from continuing in office” (Heb 7:23). Today, there is “no need, like those high priests, to offer sacrifices daily, first for his own sins and then for those of the people, since he did this once for all when he offered up himself” (Heb 7:27). We could never have been redeemed by the law because we couldn’t even keep it. The law only showed us what sin is (Rom 7:7, Gal 3:23-25), so those old sacrifices could only cover sins, but not take them away, and they were repetitious because sin is repetitious, but those who have repented and trusted in Christ have been redeemed “with the precious blood of Christ, like that of a lamb without blemish or spot” (1st Pet 1:19), so we were not rescued from God’s wrath “with perishable things such as silver or gold” (1st Pet 1:18), but by the once-and-for-all sacrifice of Jesus Christ, Who came for this very reason, to give His life as a ransom for many (Mark 10:45). It was He that “God put forward as a propitiation by his blood, to be received by faith. This was to show God’s righteousness, because in his divine forbearance he had passed over former sins” (Rom 3:25). This reminds me of the first Passover, as death passed over all who applied the blood of a lamb over their doorposts or lentils. If Jesus had sinned even one time, we’d all still be in our sins, and die in our sins, but Jesus challenged the religious leaders of the day by asking, “Which one of you convicts me of sin? If I tell the truth, why do you not believe me” (John 8:46)? I noticed no one spoke up! After Pontius Pilate examined Him, “Pilate said to the chief priests and the crowds, ‘I find no guilt in this man’” (Luke 23:4). It didn’t matter. They cried out “Crucify Him.” (Luke 23:21). And crucify them, they did. But that great evil brought infinite good (John 3:16), as God consistently does (Gen 50:20), so even though Jesus was sinless, we must remember He willingly gave His life as part of the divine plan of redemption. No one in heaven was taken by surprise. The Son suffered excruciatingly, but could any father not suffer in such a similar situation if seeing his child suffer and die like that, so the Father suffered too so that we would not have to. Jesus had to be sinless and perfect in every way, or His life would not have been sufficient to take our sins away. There is not one reputable historical reference where it was written that Jesus sinned, and the Bible declares Him spotless, therefore, Jesus’ life was without sin, and this “spotless Lamb” made possible the removal of our sin. He received the wrath we deserved; the Sinless One dying for the sinful ones (Rom 3:10-12, 23). The Apostle Paul alludes to the fact that we’re saved by Jesus’ life, but also by His death, and it is only “because of the great love with which he loved us, even when we were dead in our trespasses, made us alive together with Christ—by grace you have been saved” (Eph 2:4-5). We were saved by His sinless perfection while living in the flesh here on earth, but also saved by His death. Before our new birth, we were deader than Lazarus’ four-day dead. We had to be quickened by the Spirit of God to be resurrected (Eph 2:1-2), and it wasn’t because of anything we did (Eph 2:9). In fact, even “while we were enemies we were reconciled to God by the death of his Son, much more, now that we are reconciled, shall we be saved by his life” (Rom 5:10). So just as in Adam, we all die, so also in Christ, these same shall be made alive (1st Cor 15:22). That’s the good news of the gospel of Jesus Christ. We are saved by His life; we are saved by His death, but what about the resurrection? Are we saved by that too? Today, we have no excuse to reject Jesus (Rom 1:20), because “The times of ignorance God overlooked, but now he commands all people everywhere to repent” (Acts 17:30), but thankfully, we’re saved by His life, death, and resurrection if we’ve trusted in Him. If we don’t believe in Jesus’ sinless perfection while living here on earth, then we don’t believe the Word of God. And if we don’t believe in Jesus’ substitutionary death, then He’s not the Savior. And, if you don’t believe in the resurrection, then you too shall not be raised to eternal life. Of course, all three are true, so even if you don’t believe it, what you think does not change what is true. You can say 2 + 2 =5 and be sincere, but you’d be sincerely wrong. The road to hell is paved with good intentions and sincere people are walking on it as I write this. We’ve got to get this right! They are all true…or if you disagree, you are wrong. You’re staking your eternity on what you think rather than what God says! Don’t do that my friend. These are essentials of the faith. You must have a sinless Christ that died for a sinful people who was raised so that others could be raised to eternal life. There is simply no other way you can be saved except through Jesus Christ (John 6:44, 14:6; Acts 4:12).